Valentine’s Day finds me feeling very grateful because I have had the same Valentine for 27 years. Back in the summer of 1988 I was working as a disc jockey for i-103. One evening a couple came to the radio station to pick up concert tickets they had won in a promotion. I was smitten with this artsy brunette named Tara Rain. At the end of my shift I told a coworker, “She is the prettiest girl I have ever seen in my life. If she were my girlfriend I’d treat her right.” In the autumn I ran into her at another concert. We chatted a bit and then she impulsively snatched the beret off my head and wore it for the rest of the show. The radio station had been seeking volunteers to assist with the telephones during call-in contests and to take requests. We had 4 volunteers sign up and one of them turned out to be Tara. I suddenly found reasons to linger around after my shift on Friday nights. I held no illusions of an actual romance between us ever developing, but I hung around anyway because she was intoxicating to be around. Anyone who ever saw the interior of WGSI-FM can attest to its dingy and depressing atmosphere, but Tara would smile and it would light up the whole room. One day a mutual friend called me at work and immediately blurted out, “Tara Rain likes you!” I was surprised and ecstatic, but also confused about what my next steps should be. I was afraid of saying or doing the wrong thing and afraid of putting our friendship at risk. Friday rolled around and it transpired that the other volunteers were gone that night. Perfect—Tara and I would have three hours to ourselves and I would finally be able to tell her how I felt about her. A breaker tripped and the lights in the office went out. For some reason it wouldn’t reset. So we just sat there in the darkness and talked about everything (except our feelings) between phone calls. My ex-girlfriend randomly showed up and hung around for what seemed like ages. Finally she left and we were alone again. Time was running short and I had no idea where to start. Then Tara moved in close to me and gazed at me with her kind eyes. I haltingly started to tell her how much I enjoyed spending time with her. She smiled and nodded her head emphatically to encourage me to go on. I finally managed to invite her to dinner and she said yes. We never looked back. One day we were shopping at Chautauqua Mall and a woman with special needs was losing her patience with a toddler she was watching. She started to yell things like “I’m the boss! I’m the boss!” People at the store were a) staring daggers at the woman or b) trying to completely ignore the situation. Then I heard this kind voice say, “Can I help you?” Of course, it was Tara. She calmed the woman down and got the toddler under control. She helped them find their family who were in an entirely different store. When everyone else chose to judge or ignore the woman Tara took action, treated everyone with respect, and made sure they were secure. Another time she was the target of some serious relational aggression from another woman… I want to keep this somewhat anonymous, but let’s just say it was some real “mean girls” type junk that had some serious repercussions on my wife’s life. Tara dealt with the drama very gracefully. While not excusing the person’s behavior, she showed some insight into the background of the person and why they may have acted the way they did. She graciously set boundaries when the person later tried to reengage. Through the whole process I never heard Tara say anything mean about or belittle the person. Tara isn’t going to let someone else’s attitude change hers. Paintings, drawings, songs, crafts, murals, pottery, photographs… Tara loves taking the items at hand and fashioning them into beautiful things. She does this with her whole life, too, grasping whatever is thrown her way and arranging it into something beautiful. I am immensely grateful for her love. Someone recently asked me how long I’ve been appearing in The Times Observer. I told them since April 2007, but my mother reminded me that I first graced the newspaper back in December 1969. Only 21 months old, I was admitted to Warren General Hospital for several weeks because of pneumonia. Any parent who has experienced a hospitalization of a child can relate to my family’s feelings of uncertainty and desire to see me healthy again, as well as the pain of separation and longing to see me back home. The illness definitely put a damper on my family’s holiday cheer. I’d like to offer a belated thanks to St. Nick and the Warren Progressive Merchants who assisted the jolly fellow on his rounds that day in 1969. Although I was too young to remember my hospital stay, it is evident from the photograph how much the visit brightened my holiday. And a message to YOU who are reading this column right now! Maybe over the last few weeks you tossed some change in a red kettle, donated a winter coat, shopped for a needy child, packet a basket for a shut-in, or visited a nursing home. Much charitable giving precludes meeting with the recipient face-to-face. So on behalf of all those recipients, I’d like to say THANK YOU. I have been privileged both in human services and ministry to often be the transition point between the giver and receiver. I have witnessed first hand how often “the gift needed most” ends up with the right person at the right time. Thanks again for embodying the spirit of Christmas! Nigel gives thumbs up to trick or treat! Halloween is right around the corner, at least that’s what my son keeps telling me. He’s already working on a route that will allow him to knock on the maximum number of doors in a two-hour period. He’s testing the tensile strength of grocery bags to see which brand withstands the most weight in chocolate bars. He’s already informed my wife and I that we should have a quick dinner ready so he can hit the streets with his friends as soon as the porch lights turn on. While it’s a bit perplexing to me that a young man who doesn’t remember he had a book report due until I’m dropping him off at school can put so much preplanning into one evening still days away, I won’t discourage him a bit. After all, Halloween is for kids. As a grown-up my involvement has been curtailed into standing at the front door passing out Snickers bars (and sampling a few myself). But I can watch my son and remember how exciting the last day in October was for me as a child all those years ago. The two most impressive things about Halloween as I recall them were the candy distribution system and the fashion show. There was something so flawless about being able to knock on someone’s door and have them hand you a treat, no questions asked. If everything in life worked that easy this world would be a much more pleasant place to live. And it was always fun to see my friends unmasked at the end of the night. Usually I could guess who was who early in the evening by observing the gait of their walk or by listening to the sound of their voice, muffled by a cheap plastic mask. But there were always a few who managed to somehow stay anonymous. I was surprised to find out that a frightening monster was actually the kid from down the street who was scared of his own shadow and that the beauty queen who had been shadowing our group all night turned out to be a good friend’s older brother. They say you can’t judge by appearances and I guess that’s doubly true on Halloween. Halloween has changed quite a bit for me since the 1970s. I got rid of my Jamesway Batman costume years ago and I’m now the one handing the candy out. But it’s still a lot of fun greeting people from the neighborhood and seeing the imaginative get-ups of the kids. Have a happy Halloween! 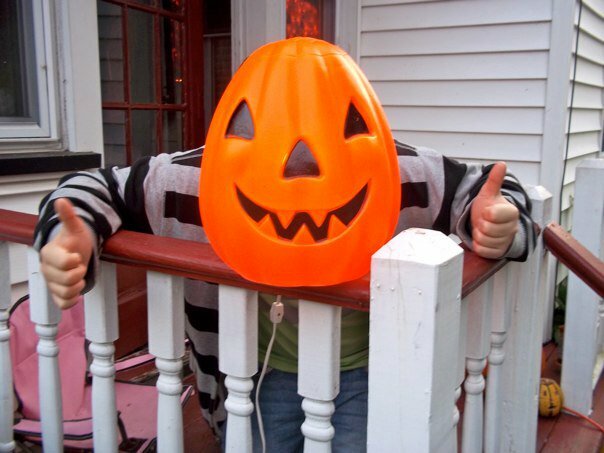 My little trick-or-treater I wrote about in this piece is now eighteen years old and a film major at SUNY Purchase. I’m thankful for the memories of the time we spent together for trick-or-treat, Halloween Fun Fest, Ghoulardifest, and Monster Bash. A class field trip is usually a welcome respite from the monotony of the rest of the school year, but for one junior high boy nicknamed Sonny it found him in an anxious and embarrassed state. Had it been optional he never would have put himself in this position, but it was a required activity. Something so carefree and fun for his classmates just confirmed to Sonny how much he didn’t belong among them. The stressor? The school bus had disembarked at a highway hot dog stand on the way back home and he was flat broke. Not broke because he forgot his money at home or overspent it on souvenirs, but because Sonny was rarely afforded had the basic necessities of life. He had been evicted from home on more than one occasion. His clothing was ill-fitting and worn. He had already gone hungry on many occasions. This time it was different, though–suffering in private was one thing, but to be shown lacking in front of classmates would be truly humiliating. Sonny shared a talent common to many troubled kids–the ability to make himself scarce to avoid awkward situations and questions. So he began to look for a way to quietly slip away from his classmates and the chaperones. He figured he could hide and kill some time until it was time to get back onto the bus. He had pulled this off in similar situations many times before, but this time something unexpected happened before he could make his break. The school principal had been standing behind Sonny all along. 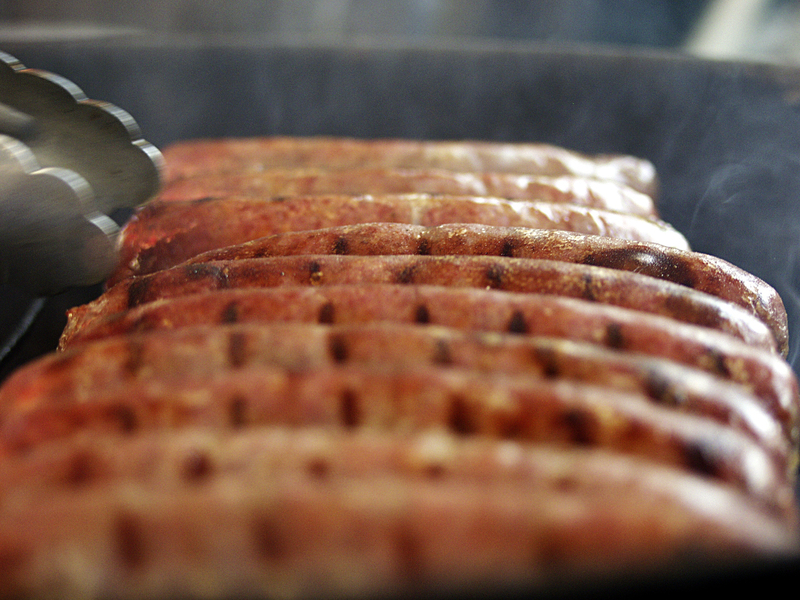 He herded Sonny and a classmate towards the hot dog stand suggesting, “What do you say you let the principal treat two of his favorite students to supper tonight?” The classmate mildly protested that he could buy his own food, but the principal insisted on paying for both of them because it was a special occasion. Sonny remembered that dinner invitation for the rest of his life. It was an invitation that not only satisfied his physical hunger, but met his profoundly spiritual hunger for belonging among his school mates. I never met this principal or even learned his name. However, I did know Sonny, although I never called him by that name. I always called him “Dad.” Often in my line of work I see how childhood abuse, trauma, and neglect can shape someone for life. I give thanks for this principal and other souls like him who treated my father with compassion and dignity when his family of origin could not or would not. Those graceful experiences gave him a different vision and aspiration for his life than the cruelty he often experienced. The story I told you happened in the 1940s, but still today there are many “Sonnys” in our neighborhoods, schools, churches, and organizations. Hospitality is key. Never underestimate the power of a smile and warm welcome to the young people you see. Take steps and ensure all kids are included in activities. Like a pebble tossed in the water, the kind act you do today may ripple throughout a person’s lifetime. 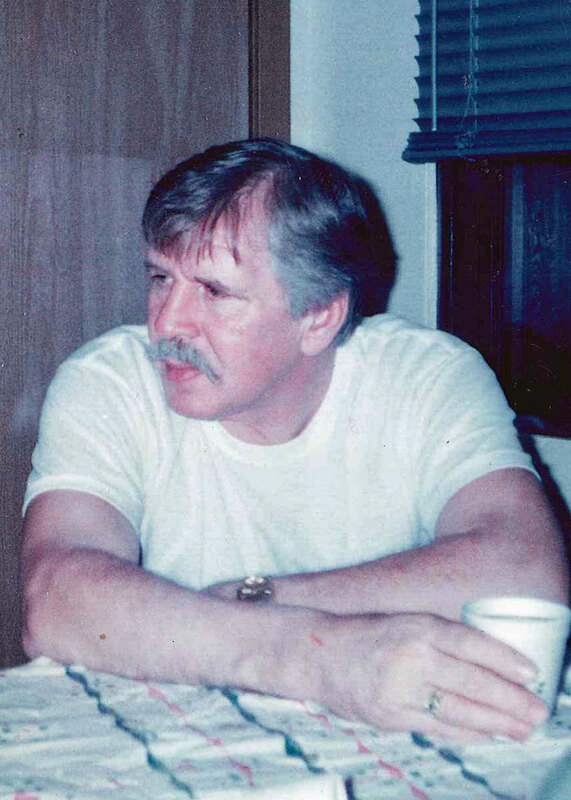 Hard to believe he’s been gone 14 years. Still miss him! 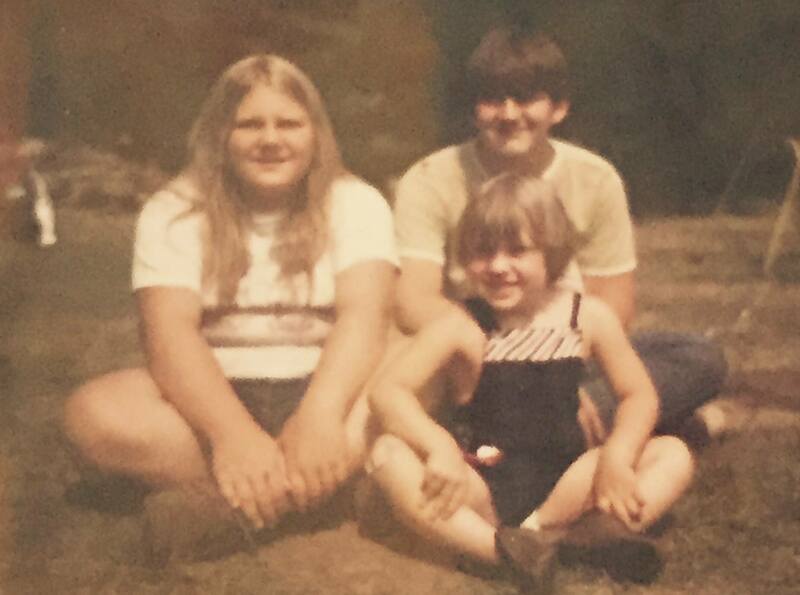 Early 1970s, camping at Kellettville, PA with my sister and brother. Our happiest summers were spent here. That bone-dry sense of humor was Darcey. The news could be dreadful, the obstacle immense, the prognosis poor and she would find something funny about it. Pretty soon she’d get herself and everyone else laughing. It was her way of coping. I had an anesthesiologist once confide in me, “Your sister is a lot better in person than she looks on paper.” He had just discovered something all of her friends and family already knew–illness and injury could break her body but nothing ever broke her spirit. Anyone who has ever spent time with a loved one in their final days knows that people don’t die in real life like they do on television. There is pain, discomfort, grief, fear, and disorientation. The day before my sister passed, her daughter Erin came in to check on her in the early morning hours. Darcey had turned herself to the best of her ability towards her window and was watching the sunrise. Even in the brutal process of death that had stripped so much away from her she was still taking joy wherever she could find it. Someone once wrote, “Happy people don’t have the best of everything. Happy people make the best of everything.” I don’t think I’ve ever found a person that this was truer about than my sister Darcey. Menu choice aside, there is nothing quite as inviting to me as sitting around a campfire with loved ones. Thoughtful moments find me looking around the circle and rejoicing for the family and friends with whom God has blessed me. I recall the picnics of long ago and the many regular guests who have passed on or are now separated by great distance. Sometimes I even ruminate about how long ancestors, their names lost to time, gathered around a fire in similar fashion: eating, laughing, and telling stories. Holy ground. My baser moments find me swatting mosquitos and just wondering when we are going to eat. Our family has a tradition, and a pretty ill-conceived one at that: we don’t eat until 2 pm on picnic days. No one remembers the scoundrel who first set picnic times for two hours after all other civilized people eat lunch. The matriarchs of the family—my mother and my Aunt Barb—say our family picnics have been this way as long as they can remember. I am not an unreasonable person. I will grant that this tradition, inconvenient as it is, makes perfect sense on one day of the year: Independence Day. It gives everyone time to get home from the parade, collect their picnic contributions, and get to the campfire. That said, I simply cannot find any other logic in this schedule any other time of the year. And frankly, neither can my growling stomach. Now you may be reading this and wonder to yourself, “Surely Ian could just eat a snack?” While that is a great idea in theory, in practice it is an abysmal failure. For instance, any attempt to crack open a bag of chips is greeted by a chorus of “Hey, that’s for the picnic!” Never mind that we always overestimate the amount of food by at least triple the people who actually show up and that the resulting leftovers can easily feed a small army for a week. Move my hand in the vicinity of the chips before 2pm and suddenly everyone turns into the Food Police! The campfire was my dad’s domain for over 45 years. The mantle was passed on to my sister after his reign ended. Her vision deteriorated over the years, and with great reluctance abdicated the grill onto me. Something happened to me the moment I held that spatula in my hand. Drunk with power I vowed to end the ridiculous 2pm picnic time tradition. I sent out a decree to all guests that from the next picnic onward we were dining at noon. I got a head count of my subjects and their preference for a hot dog or hamburger ahead of time. The great day finally arrived when I would lead my family and friends boldly into the future. The picnic table was set and the appropriate portions of meat were laid upon it by noon sharp. Pretty much everyone else showed up to the picnic about two hours later. I ended up having to refrigerate the hot dogs and burgers and then reheated them in the microwave later, to the culinary delight of absolutely no one. They say you can’t change tradition, but oh how I tried! Play day in the woods. Catching the 20th anniversary tour of Rent.